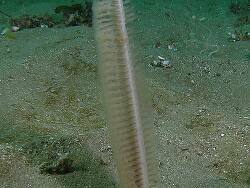 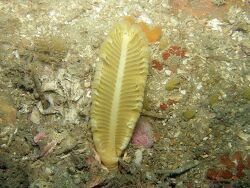 There are many different species of sea pens out there. 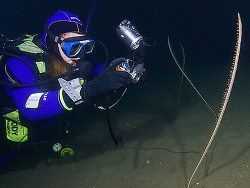 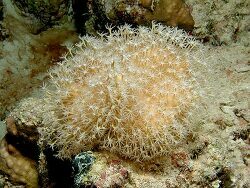 They are colonial corals supported by internal skeletal structures and adapted to living as sessile animals partly imbedded in fine sediments on the sea floor. 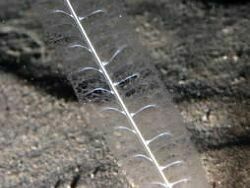 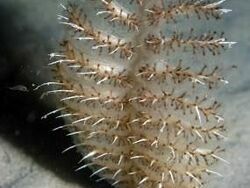 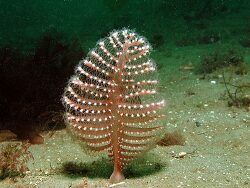 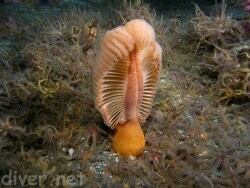 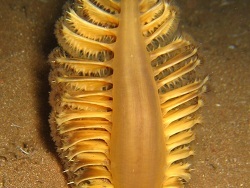 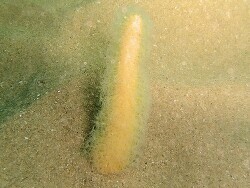 The name sea pen derives from their resemblance to quill pens. 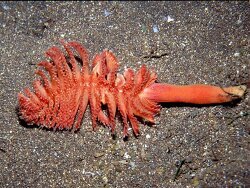 They occur in shallow and deep waters from polar seas to the tropics and provide shelter and food for many organisms including for example juvenile rockfish, red sea stars and some kind of nudibranchs. 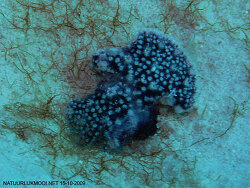 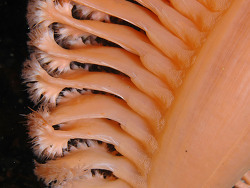 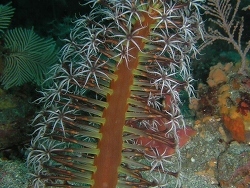 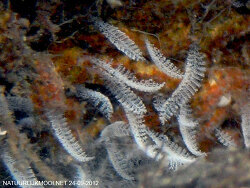 Sea pens are octocorals, each polyp has eight tentacles. 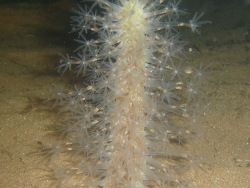 Each sea pen is a colony of polyps, small anemonelike individuals, working together for the survival of the whole. 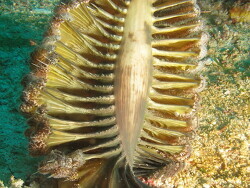 Some polyps feed by using nematocysts to catch plankton; some polyps reproduce; and some force water in and out of canals that ventilate the colony. 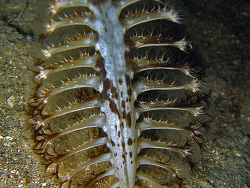 The featherlike shape of sea pens is an adaptation for increasing the spread of gastrozoids into the water column to maximize the prey capture rate of a colony while also minimizing drag in the turbulent water in which these animals are typically found. 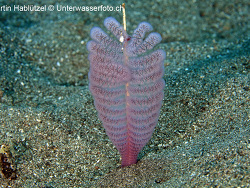 Sea pens in captivity (aquarium) need to be fed , but they need to be fed quite a lot. 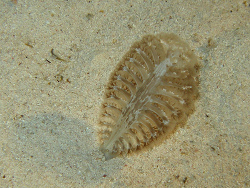 These animals typically prey on an abundance of tiny plankton, and their efficiency of capturing such particles is directly influenced by the flow rate of water in the aquarium.